Dr. Philip A. Salem, physician, researcher, educator and international statesman in cancer medicine, serves as Director Emeritus of Cancer Research at Baylor/St. Luke's Episcopal Hospital in Houston and is the President of Salem Oncology Center. Prior to his appointment at St. Luke’s, Dr. Salem served on the faculty of M.D. Anderson Cancer Center as professor of cancer medicine and research. In March 2010, St. Luke’s announced the establishment of a cancer research chair in his name to honor his contributions to cancer medicine and as “a lasting tribute to his leadership and vision in the field of oncology”. Dr. Salem is the recipient of many awards from all over the world for his contributions to cancer research. In the early 1970’s he was one of the first researchers to demonstrate that a chronic infection in the intestine may eventually lead to the development of cancer. His work on Immunoproliferative Small Intestinal Disease (a form of intestinal cancer), and the relationship between infection and the development of intestinal cancer has become a classic in modern medicine. He is an active member of the top three cancer organizations in the world: American Society of Clinical Oncology (ASCO), American Association for Cancer Research (AACR) and European Society of Medical Oncology (ESMO). In the last 15 years he was selected annually in the editions of America’s Top Doctors by Castle Connolly. Because of his stature and impact on cancer research, he was invited to serve on the editorial boards of several prestigious cancer research journals. Besides his contributions to medicine, Dr. Salem has made major contributions to America. In the early 1990’s he served on a healthcare advisory committee to the White House. In 1994 he received the Republican Senatorial Medal of Freedom, and in 1998 he was awarded the Ellis Island Medal of Honor for his “exceptional humanitarian efforts and outstanding contributions to American science”. In 2006 he was honored as ‘The Scientist of the Year’ by the National Italian Foundation for the Promotion of Science and Culture, and he was decorated in a special ceremony held in Rome, Italy. Dr. Salem is a renaissance intellectual and writer. He is the author of many editorials on Lebanon and he has published extensively on Arab affairs. In the year 2000, he was awarded the Khalil Gibran International Award by the Arabic Heritage League in Sydney, Australia. In May 2000 he was selected the ‘Arab American of the Year’ by the Arab Community Centre for Economic and Social Services (ACCESS) in Dearborn, Michigan. 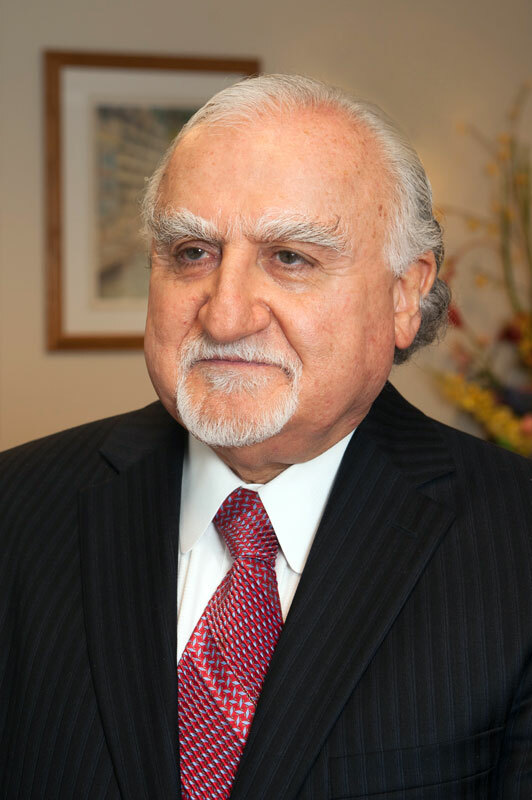 On July 1, 2010 The Lebanese American University in Lebanon bestowed upon him an Honorary Doctorate in Humane Letters for his “contributions to medicine, Arabic literature and philosophy”. For the same reasons, another Honorary Doctorate in Humane Letters was bestowed up him by the Notre Dame University of Lebanon on July 12, 2013. Five books have been published about Dr. Salem: In July 2004, a book in Arabic entitled, “Philip Salem – The Man, The Homeland, The Science”, authored by Peter Indari, an Australian journalist, was launched. In December 2012 a book in English entitled “Cancer, Love and Politics of Hope – the life and vision of Philip A. Salem M.D.” authored by Frances Mourani and Boutros Indari was published by Quartet Books in London. In January 2013, a book in Arabic entitled “Philip Salem the Rebel, the Scientist and the Humanist”. Authored by Maha Samara, a Lebanese journalist was published in Beirut by Dar Al Saqi and Dar Annahar. In July 2014 a book entitled : “ Philip Salem: Healing the body , Healing the Soul” by Antoine Noujaim was published in Beirut, Lebanon. In November, 2014, A new book entitled “ Philip Salem: by their Pens”, Edited, by Assaad Khoury, published in Beirut, Lebanon.